2 Post in one week.. Shut the front door.. or the side door.. or the back door.. Whichever.. just be excited with me. I’m here in this space more than once this week. It’s a first and I have now placed myself in the more than one post a week group. So what if it probably won’t happen again in the near future..
And at this moment, I’m drinking what you see above (and below).. The Ginger Julep '68 Fastback. No..no not the car..but damn that would be nice..a Ginger colored 1968 mustang fastback...gangsta truly...but wrong,..I'm not talking about a car..I'm talking about Bourbon. If you’ve followed me up until this point you know that Bourbon is clearly my best friend. IF you haven’t been following up until this point. Shame on you.. There is a subscribe button on the side that can help you with that. A few years back.. I was able to attend the Derby. Making my way through the large hats and monogram necklaces due to the company I was working for giving some ridiculous sponsorship. It was interesting.. I was able to mingle with insanely rich people who would probably never speak to me in real life.But with the abundance of Bourbon mixed in with the signature Juleps they were my best friends. So I received several invitations to parties at houses on beaches,got included in a group that takes a trip to the Swiss alps once a year for a month and stood in Millionaires row with probably $15.00 in my pocket. I looked nice though. 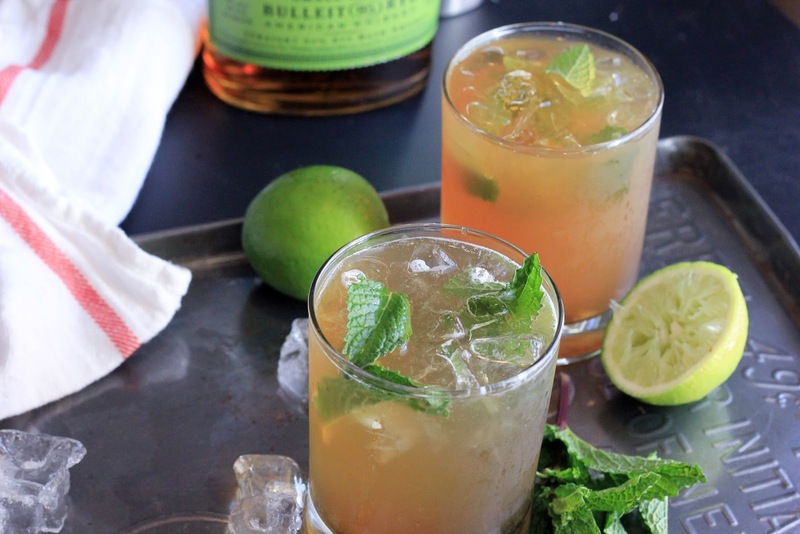 See Bourbon makes everything better.. and Bulleit Brand Bourbon is hands down my favorite. It’s a staple Bourbon brand around these parts, as well as a part of the heritage of the great state of Kentucky. There is nothing quite like that barrel aged liquid gold with its vanilla, oak and sometimes spicy notes. 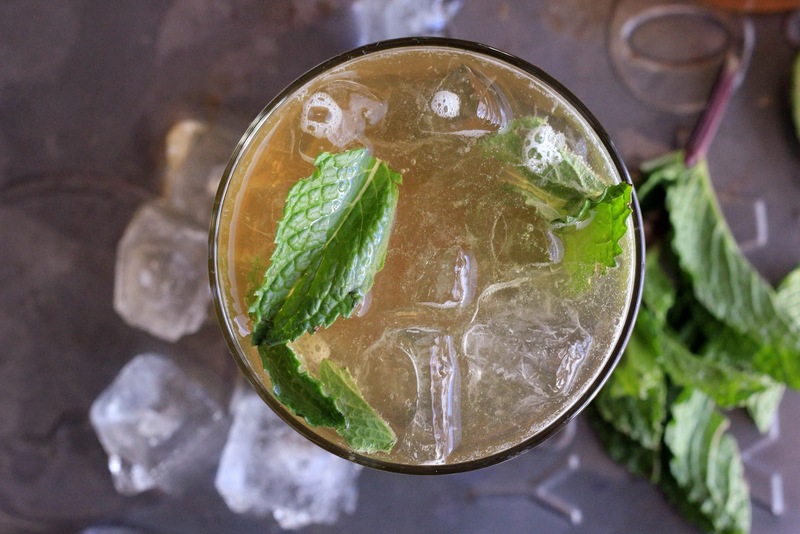 This Ginger Julep is a twist on the Classic Mint Julep. 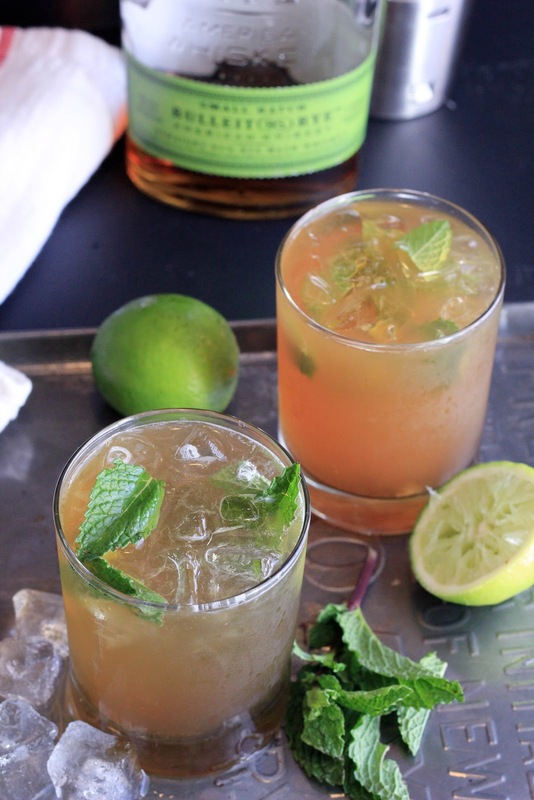 It’s addition of brown sugar and fresh minced ginger bring a gentle heat to this drink with an invigorating kick and splash of lime. So as you prepare for this years Derby or if you're planning a party to celebrate. Be sure to include this drink on your menu. It won't disappoint. 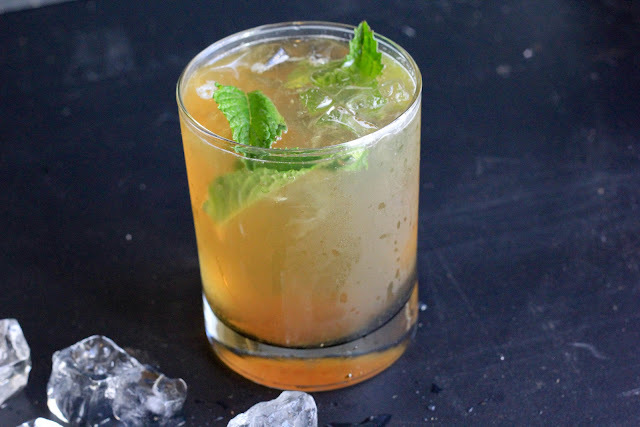 In a glass, muddle the brown sugar and ginger until sugar is moist and almost dissolved. Add a dash of the soda water to finish dissolving the brown sugar. Stir in your Bourbon. Finish with the remaining soda water, ice and a twist of lime. All media related inquiries should be sent to The Lisa Ekus Group.